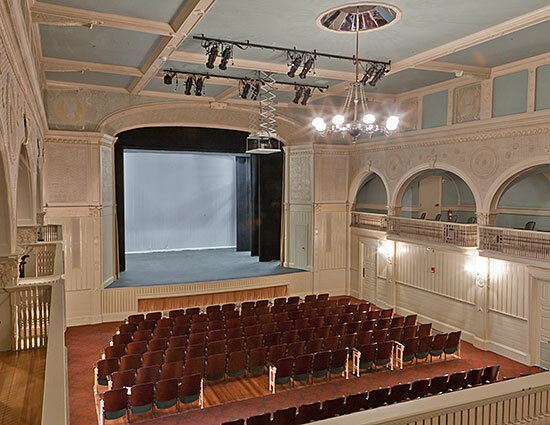 Link to Standford White Casino Theatre Project PDF. 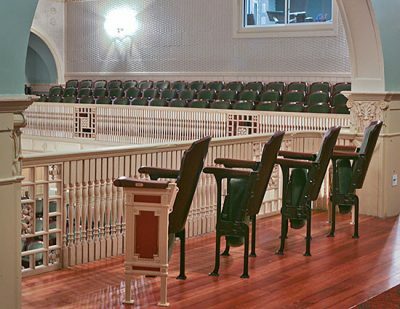 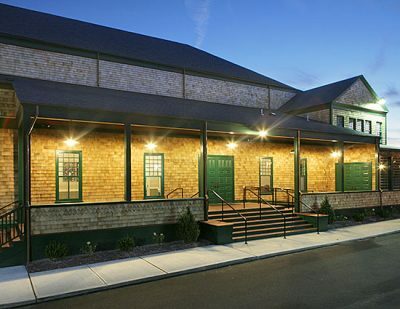 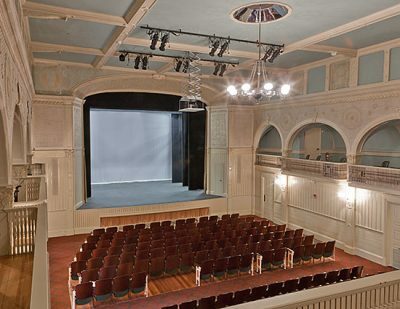 Farrar & Associates Inc was selected to restore this historically significant theatre located within the grounds of The International Tennis Hall of Fame in Newport, RI. Built in 1880 and expanded in the 1930’s the theatre had been closed for over 20 years. The project required extensive structural repairs, high efficiency HVAC systems, new electrical infrastructure, sprinklers and a comprehensive restoration. The dressing rooms were overhauled and expanded. 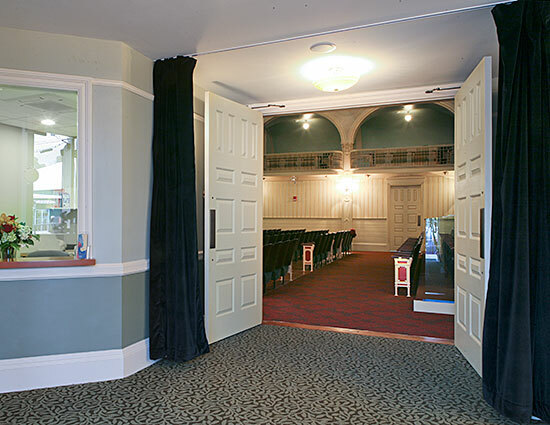 Workers excavated six feet under the backstage area to create a green room and costume shop. 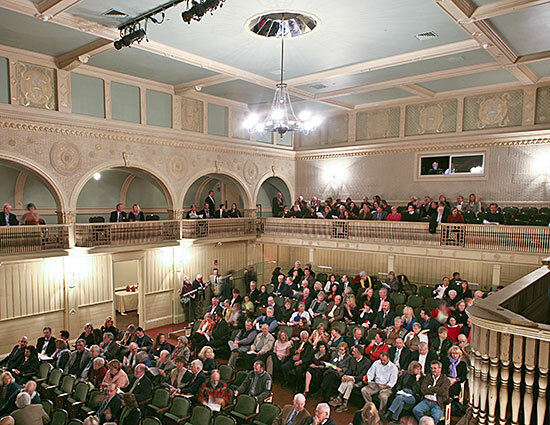 Preservation work included restoring the gold gilding on the basket weaved plaster that wraps around the theatre. 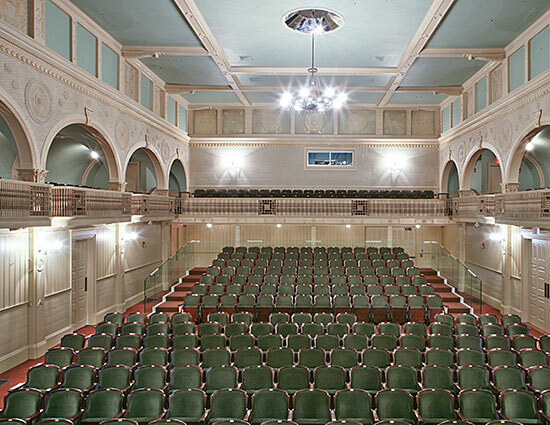 The theater’s original were restored including the holder for gentlemen’s top hats. 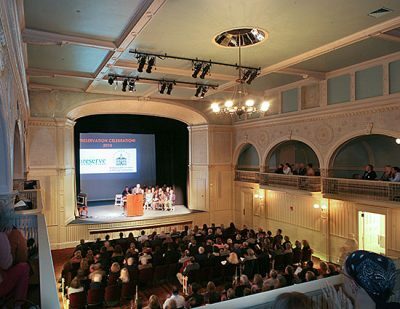 It was a privilege to manage this historic restoration bringing the theatre back to life. This 5+ million dollar restoration was completed on schedule and within the preconstruction budget established early in the planning process.